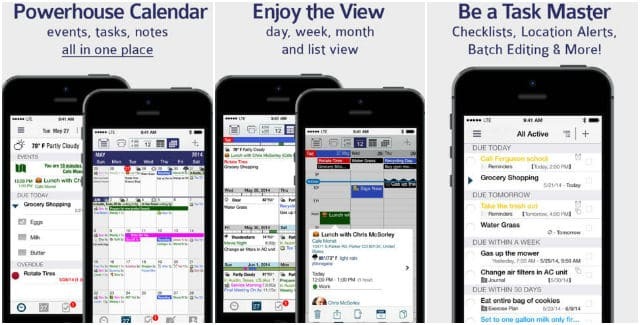 A list of 5 best free calendar apps for iPhone to keep your meetings and events organized and up to date. Not keen on iOS 7’s calendar and looking for an alternative calendar application that allows you to organize your time and your professional life? Here we made a list of the 5 best calendar apps for iOS to organize your professional lives without forgetting your personal lives from the iPhone in the best way: Fast, simple, intuitive and effective. Worth checking each application because depending on your need of them can solve all your problems. 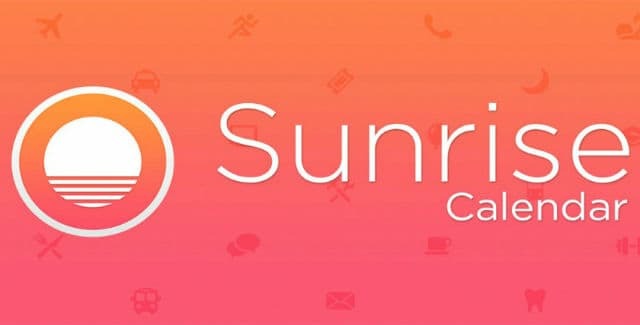 Sunrise Calendar is a great calendar application for iPhone with a clean design that deeply integrates information from Facebook, Google Calendar and LinkdIn and provides everything you’d expect from an iOS calendar app – recurring events, alerts, birthdays, Google Maps directions, and more. Sunrise, well known for its social component, draws on other calendars to offer the user the most important information tray and allows you to synchronize with Google Calendar; Facebook, LinkdIn for birthdays and events; weather forecasts; Google Maps, check to make addresses, and so on … The app is very easy to use. At a glance you know what you have appointments in the coming days and what the weather will do. IT is one of the best and most complete calendar apps for iPhone, supporting to Google Calendar, iCloud and Exchange. Cal is another most popular calendar application for iPhone users that is notable for its simplicity and a quick, intuitive and minimalist design interface. Cal provides multiple functions for it users: it integrates seamlessly with all calendar services you already have, so you’re always up to date; and contacts, places and social integration allow you to send messages and schedules to organize your holidays and vacations directly from it. Mynd is an intuitive calendar for your device that helps you to remember your events, meetings and appointments. The main objective of the app is to become a virtual assistant for your calendar of events and tasks, so that the more you use the Mynd, smarter it is improving productivity. It identifies the places where you go, spend your time and what people you meet during your way and also informs the estimated travel time for you to reschedule any appointment in advance in case of delays due to traffic. 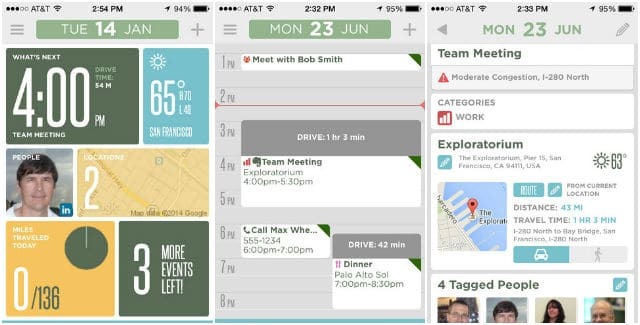 Tempo Smart Calendar is an app that literally makes your calendar a more intelligent. The app integrates an algorithm capable of scanning your address book, your calendar, emails, social networking profiles (logically this makes with your consent) to provide you with a more comprehensive framework of appointments. You can also display information about contacts that are included on a date and display additional information about them that is available on Linkedin for example. Pocket Informant is a calendar application, but has the peculiarity of having an integrated calendar and tasks, a magnificent solution for your iPhone. 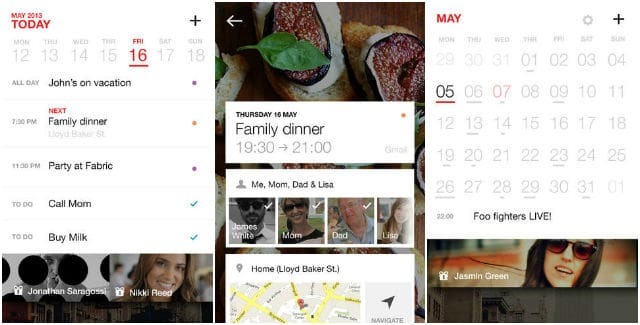 With a very attractive interface the app lets you focus on everything you do in a day. It is highly customizable, and has four different styles so that only displayed the necessary information. The app also provides the power to change virtually all the features to suit your preferences. 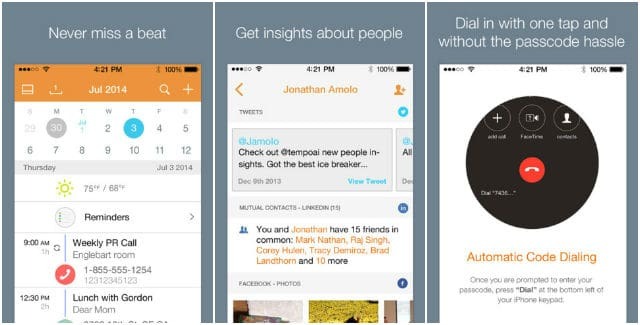 So this has been our pick for the top 5 free calendar applications for iPhone. What is your favorite calendar application? Tell us! !